From the outside, the basics of the question seem obvious. Grass-fed cattle have eaten grass and grain-fed cattle, well, you get the picture. But the reality is more nuanced and calculated than the names suggest, and the different feeds deliver different products with different tastes. For a moo-cow to be categorised as grain fed it has to be finished on grain for a minimum set period of its life. Finishing on grain achieves a greater level of consistency in eating quality and premium marbling. Grass-fed cattle feed on grass throughout their entire lives, accounting for about two-thirds of the market. What are the flavour differences? The key word when it comes to grain-fed cattle is consistency. The more control producers have over the feed for their cattle the more they can guarantee a consistent, high-quality product for resellers and consumers at the other end. This control also extends to overall meat quality, the needs of different markets (highly marbled versus lower fat content) and maintaining the health of the animals if pastures aren’t performing, say in drought conditions. 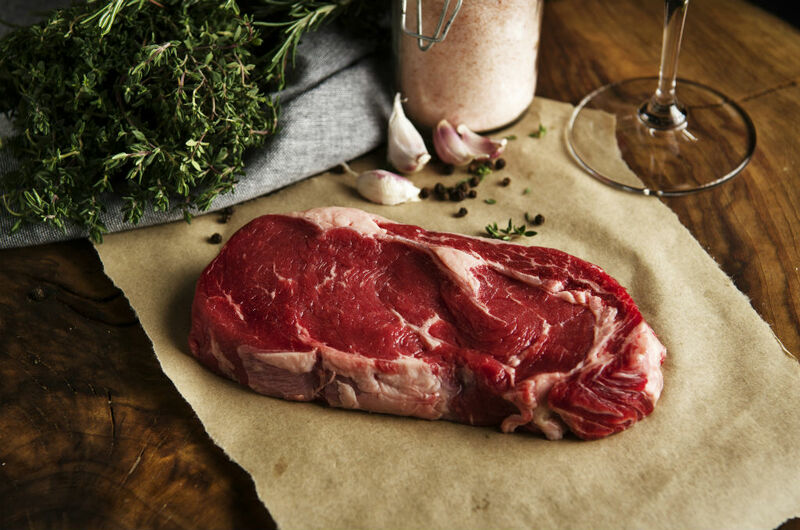 For a lot of passionate beef eaters, grass-fed provides a more nuanced and complex flavour profile. This could be because of a lack of control over the pastures and grasses being eaten by the cattle. The fat in grass-fed beef is also considered to be slightly more yellowish to that of grain-fed beef. The colouring doesn’t affect the quality of the beef, and comes from the pigments in the grass the cattle eat. We’ve all said it. “That tastes like butter.” And that’s what you get with the controlled feeding environment and the marbling from increased intramuscular fat that grain-fed cattle deliver. A more buttery flavour and brighter meat, along with whiter fat.